Get Millions of Impression with One Message! The power of SMS is unbelievable and should not be underestimated. 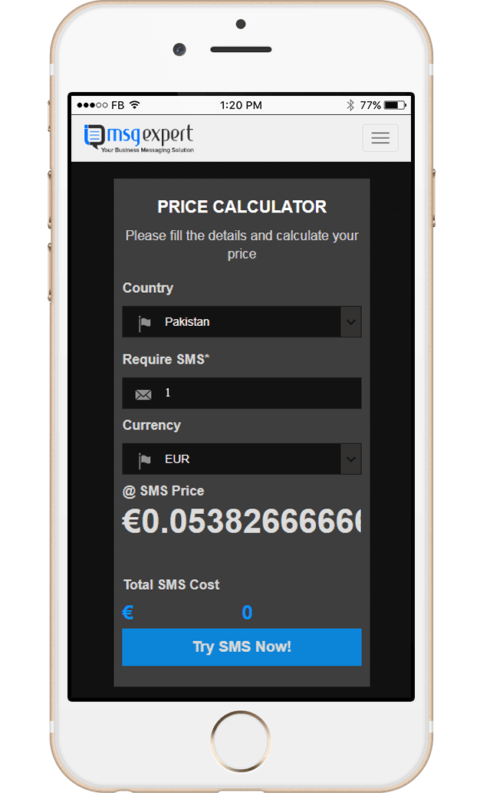 Just send one SMS and it reaches to millions of your potential or existing customers. iMsg Expert allows you to send messages to a variety of mobile networks in any part of the world. Simply choose a package, buy it, set up your account and you are good to go. Whether send SMS via mobile or your desktop system, our system lets you send SMS via any device. Setting up your account is the first priority, we allow you to sign up on our website for free of cost. Just click on sign-up, fill a short sign-up form and you are all set to rock. 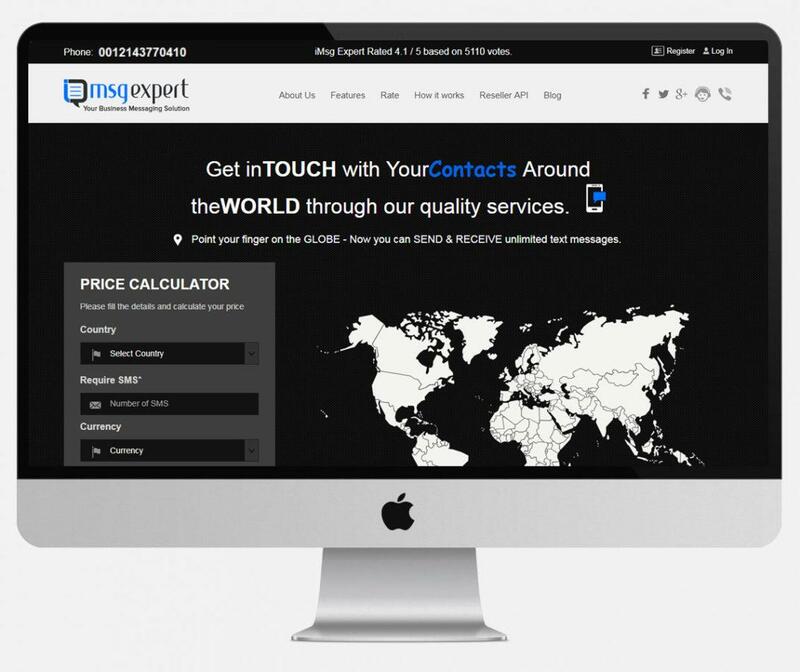 Uploading the contact list is the foremost priority of businesses. Along with manual contact copying, we also allow you to upload a list of contacts in Excel file format. Now is the turn for creating personalized messages with the sizzling effect that move your target customers to take action. Select individual or group, select sender ID & send the message. Either send right away or put it on schedule, both way your messages are sent to and received by the target audience. Just upload contacts and you are good to go. Our Bulk SMS services come with numerous benefits. The message gateway API allows to SMS on your own applications, which can be used for tasks i.e. notification & delivery status. No Sender Code or No. Our Sender ID feature allows users to send SMS via their own name rather than random code or number. Send and receive your message with no interruption. Get your incoming messages in real-time. Reply to individual messages, re-send messages to larger groups or follow up with calls through one system. Create interactive and engaging promotional message and send them timely reply through the system. Set up triggers to automate message flow by creating a dynamic flowing mobile chat with your customers. Schedule to send SMS on the best suited time of the day or based on the campaign requirements. We have a custom built platform which can be integrated with your best-suited system through our APIs. 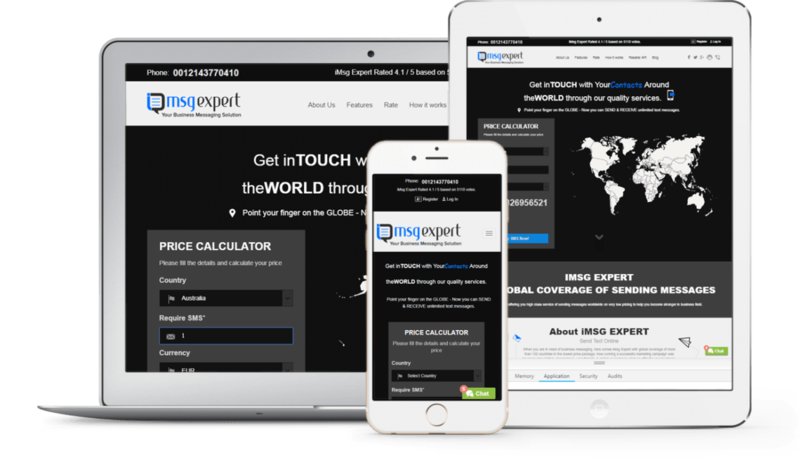 iMsg Expert is designed on the responsive structure to be used on mobile devices. User Friendly, Simple and Custom-Made System! SMS sending system and a platform is developed in such a way that it gives you the feel and look of the user-friendly, simple and custom-made website.